Going #Bare is the trend that just won’t go away..for a reason! It’s also the easiest way to hack your morning beauty routine! Besides the essential caffeine boost, these insanely easy to use multitasking beauty products are going to make even the busiest morning fly by. 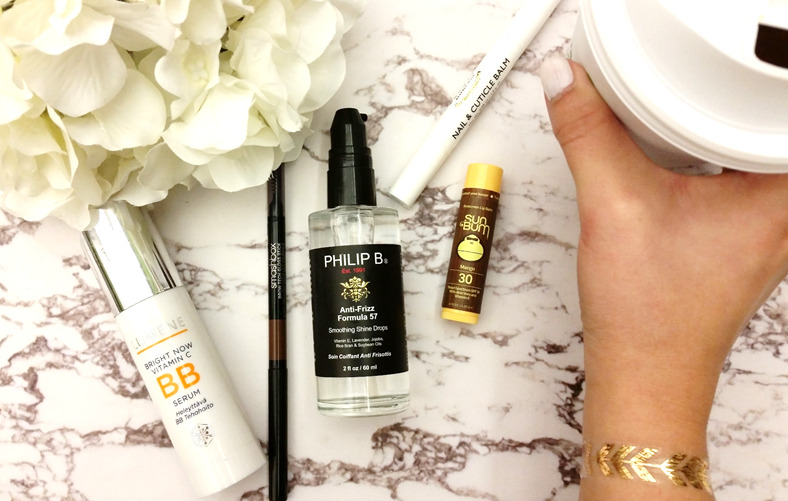 Here are the top 5 most efficient beauty products that will make even the busiest Monday easy! 1. Everyone needs a great illuminating BB Serum to hide the weekend’s events – the Lumene Bright Now Vitamin C BB Serum ($21.99) has it all with bonus Vit C to tone and brighten skin! 3. Don’t have time to shampoo AND condition hair? No worries – tame tresses with Philip B.’s Formula 57 ($35) with Vitamin E, Rice Bran and Soybean Oil, it’s also phthalate and paraben free! 5. Can’t forget about lips though, right? A softening and nourishing lip balm (with bonus SPF) is TOO important especially when in a time crunch. Sun Bum’s Lip Balm SPF30 ($3.99) has Cocoa Butter and Aloe Vera to heal and soothe chapped lips like no other!! PS. Like the tat? It’s none other than Scunci’s Hair Tattoo ($4.99)...using it on the wrists helps when you’ve forgotten your accessories!